Accented with a diamond cut logo and aluminum lid, the SVE15126CXP Sony Seashell Pink Intel Dual-Core Processor Laptop, i5-3210M includes a backlit keyboard, large clickable touchpad and HD web camera. Featuring the 3rd generation Intel Core i5 processor, 6GB of RAM and 750GB of hard drive space. 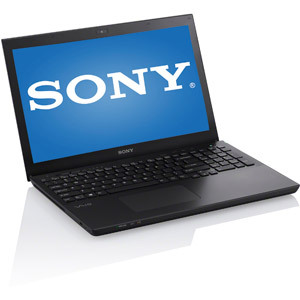 Sony's exclusive, free downloadable software, Sony Imagination Studio VAIO Edition comprised of Movie Studio Platinum, ACID Music Studio, Sound Forge Audio Studio and DVD Architect Studio software, allows you to create something worth sharing.